Here at Juno Web Design we like to make sure online businesses can perform to their full potential, ultimately helping them make the sales they need to reach targets and maximise their profit margin. But, sometimes there’s more to it than meets the eye—a lot of ecommerce sites need to allow multiple vendors to sell their products from a single storefront, but in order to meet customer expectations it’s essential to make things as consistent and easy-to-manage as possible. That’s where multi-vendor solutions come in, and we thought we’d take a quick look at Alison At Home to see how it can be done. 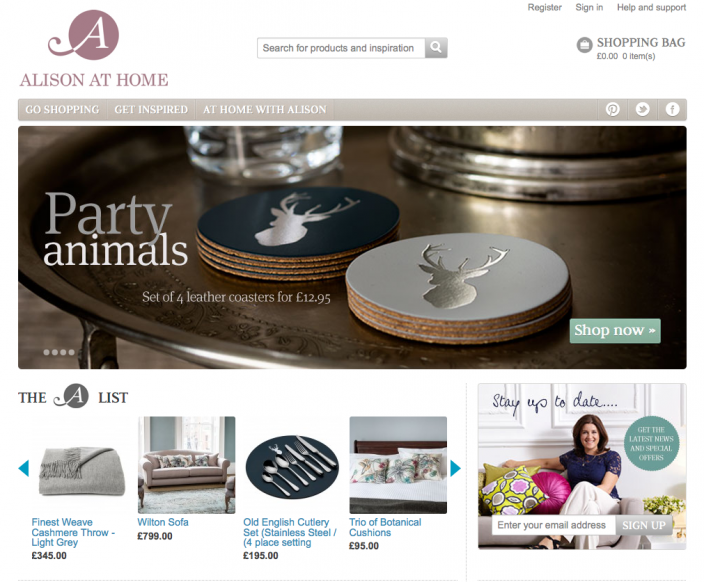 Alisonathome.com is a luxury interior design company that positions themselves squarely at the higher end of the market, stocking a wide range of home wares, products and accessories to appeal to discerning clients. But, the huge variety of products available on the site opened up some challenges. Because they stock products from a number of different suppliers and designers it meant we needed to implement a solution that could allow individual companies to sell their stock from this one core website, and that’s why we looked at the multi-vendor extension to work in-line with their current Magento platform. This module allows individual vendors to have separate admin areas to keep track of their sales, catalogue and revenue, but the customer only sees a single store with different departments. They’re able to order from multiple vendors but will only need to check out once, and it’s this combination of customer convenience and vendor benefit that makes this system so worthwhile. We think we’ve managed to implement a solution that works for the suppliers, visitors and site as a whole, so if you’re looking for a similar solution just get in touch and see what can be done.